If you are a programmer and thinking about learning Python in 2018, then you have come to the right place. In this article, I am going to share some of the best online courses to learn Python in 2018. Python is one of the most popular programming languages and it's used in many domains, such as web development, automation, data science, and machine learning. In recent years, Python has also become a default language for data science and machine learning projects and that's another reason why many experienced programmers are learning Python in 2018. It's also one of the top languages on my list of programming language to learn in 2018. But, for all its power and flexibility, Python is still a very simple language to learn and often touted as a beginner's programming language. If you are thinking about learning a new programming language then Python is a good choice, particularly if you are looking to move towards a lucrative career path in data science and machine learning which has lots of opportunities. In the past, I have blogged about why a beginner should choose Java over Python to start with programming but things have come a long way since them. In recent years, Python has grown a lot which has resulted in more and more opportunities for Python developers. Particularly in developed countries like the USA and UK, the rise of Python is phenomenal and part of that can be attributed to academics where Python has become a go-to language to learn programming as opposed to Java, C, and C++. Anyway, here is my list of the top 5 online courses to learn Python in 2018 from Udemy and Pluarlsight, two of the best places to learn a new technology online. This is one of the most popular course to learn Python on Udemy and more than 250,000 students have enrolled in it. That speaks volumes for the quality of the course. This is a comprehensive but straight-forward course to learn Python on Udemy! And it's useful for all levels of programmers. In this course, you will learn Python 3 in a practical manner. You will start with downloading and setting up Python on your machine and then slowly move on to different topics. It's also a practical course where an instructor will show you live coding and explain what he does. 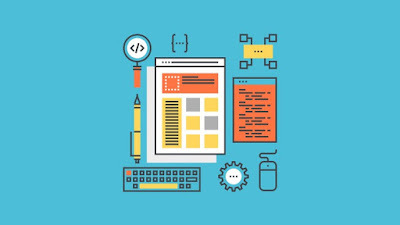 The course also comes with quizzes, notes, and homework assignments as well as 3 major projects to create a Python project portfolio which complements your learning. In short, this is one of the best courses to learn Python in 2018 and it's also cheap and I bought it for just $10.99 on a Udemy flash sale. This is another fun course to learn Python on Pluralsight and great if you have a Pluarlsight membership. I have taken a couple of courses on Python on Pluralsight but this one stick with me. The authors Austin and Robert have done a wonderful job of keeping this course fun but at the same time meaningful. 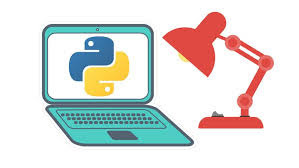 Like other courses, this one also starts from ground zero and in 30 minutes, you will learn how to download and install Python on your workstation. Don't worry about your OS, the course covers installing Python on Linux, Windows, and Mac, so you are covered. The course covers all major Python topics, e.,g. Strings and Collections, Modularity, Objects, Collections, Handling errors, Iterables, Class, Files, and Resource management, as well as the deployment of Python applications. In short, this is one of the best courses to learn Python on Pluarlsight, but you need a membership. If you don't have one yet then you can signup for 10-day free trial and get access to this course for almost FREE. This is another fantastic course to learn Python on Udemy. I am a big fan of Tim Buchalka and have attended a couple of his courses. His passion and experience really show in his courses and that's why I am recommending this Python course to you if you are working with Python for the first time. In terms of content, this is not very different from the other two courses but the style is what matters most. 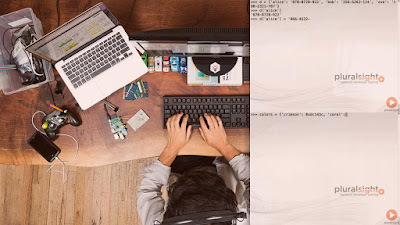 If you can connect with Tim Buchalka, which is very much a possibility, then you will learn Python very easily and in a fun way. The extensive experience of the instructors, both Tim Buchalka and Jean-Paul, in software development and teaching, which is more than 60+ years together, will certainly help you to learn Python the right way. This course also covers Python 3.0 which is what most organizations are using now. It's not the latest but still the latest major version to learn. Another awesome course to learn Python on Udemy. This is a project-based course and you will build 11 projects in this Python course. If you enjoy hands-on learning while working on the project rather than learning individual concepts then this course is for you. This is comprehensive, in-depth, and meticulously prepared course and teaches you everything you need to know to program in Python. It delivers what is promised in the title, A-Z, it's all here! The author, Ziyad is a prize-winning university lecturer of computer science with a lot of experience in delivering project-based learning, which is truly reflected in this course. You can not only write simple scripts to automate stuff but also create the complex program to handle trades. You can even use Python for it for IoT, web development, big data, data science, machine learning, and more. This is a very practical course and useful not just for beginners but also for programmers who know other programming languages, like Java or C++, and want to learn Python. In 30 days, this course will teach you to write complex Python applications to scrape data from nearly any website and build your own Python applications using various types of automation. It's perfect for busy developers who learn by doing serious stuff. That's all about some of the best courses to learn Python in 2018. 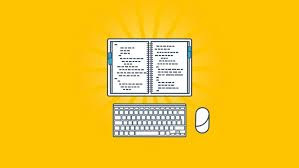 Python is a very powerful language and allows you to create simple scripts to automate processes from complex object-oriented applications, but it is still a simple language to learn. I highly recommend Python to all the beginners who are starting with programming. Along with Java, Python programming experience will help you in your career for a long time. Thanks for reading this article. If you like this article then please share with your friends and colleagues. If you have any questions or feedback then please drop a note.